A teacher is never a giver of truth; he/she is a guide, a pointer to the truth that each student must find for him/herself (adapted from Bruce Lee). 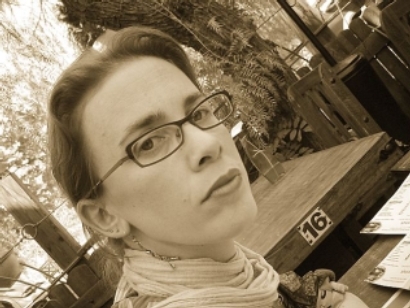 SABRINA LASTMAN is a vocalist, songwriter, voice educator & Guild Certified Feldenkrais Practitioner (GCFP). 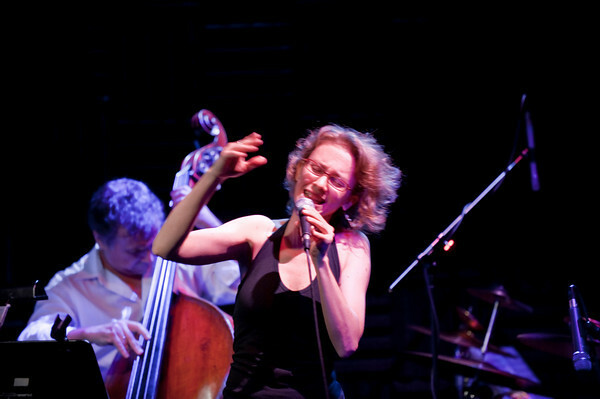 She graduated from the Jazz Department at The Jerusalem Academy of Music & Dance in Israel, The Feldenkrais Institute in New York City, and The LoVetri Method of Somatic Voicework. 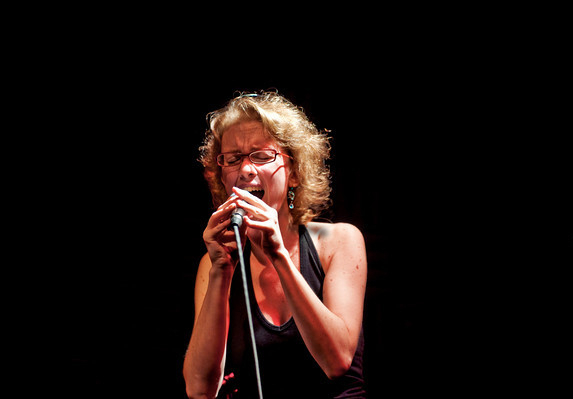 Drawing from jazz, Latin American, Jewish, Spanish and contemporary music, often integrating extended vocal techniques, Sabrina concentrates her work on contemporary jazz projects, and the creation of interdisciplinary performances combining voice, sound, electronics, movement, and visuals. 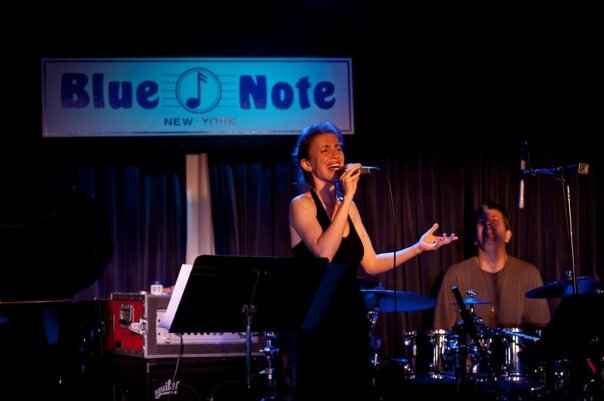 She has performed at venues such as Carnegie Hall, Classical Guitar Association of NY, Blues Alley Jazz, Blue Note, Joe’s Pub, Juilliard, Harvard University, CUNY, Yale University and NYU, among others. She has played with musicians such as Fernando Otero (GRAMMY Award Winner), Meredith Monk (GRAMMY Award Nominee), Bakithi Kumalo, Tali Roth, Pablo Aslan (GRAMMY Award Nominee), Emilio Solla (GRAMMY Award Nominee), Pedro Giraudo, Alexander Norris & Meg Okura, among many others. 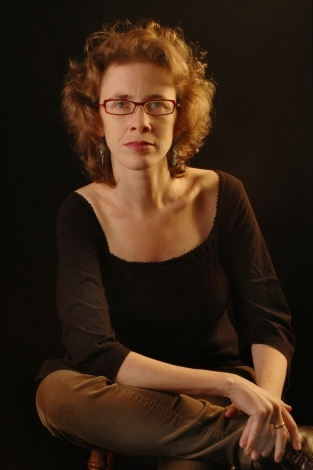 In the US, Sabrina has taught voice in New York City at Feldenkrais Associates, Hispanic Organization of Latin Actors, IATI Theater, Actors Movement Studio, CAVE Arts, Jewish Community Center in Manhattan, Multicultural Music Group, Movement Research, and New York Theater Workshop; in Vermont, at Middlebury College; in Maine, at Portland Arts & Technology School; in Indiana, at Purdue University, Butler University, and Morton Center. Sabrina has a private teaching practice with more than 15 years of experience. She is an English, Spanish & Hebrew speaker. 30, 45, and 60 minutes lessons are available. This intensive 2-day voice workshop will focus on enhancing voice’s freedom in its direct relation to the body. The singer will increase awareness of sound-making as a physical process, being able to sing from a more functional, healthier and expressive instrument. We’ll work on voice technique, individual song interpretation, and individual & collective voice improvisation. Techniques for performance practice and performance anxiety management will be addressed. This method of work promotes a state of creativity, spontaneity, and a safe atmosphere for learning and collaboration. Participants are encouraged to choose a song they have been working on to develop during the workshop. They should bring 2 copies of the lyrics and/or music chart in their tonality–if possible. If students have a special request for specific songs and/or other musical genre, I’ll be open to work with them on songs that they would like to present, depending on each student’s experience and voice/musical level. Participants will be accompanied by a professional pianist. Morton Center | October 16th. through December 11th. This workshop will focus on the development of the speaking voice. It is recommended for people interested to improve the use of their voice for professional, personal growth and/or health reasons. The lessons are designed to provide a healthy foundation for the speaking voice; an understanding of how the voice functions; a unique strategy for overcoming speech or breathing difficulties; and an extraordinary way to improve self confidence. 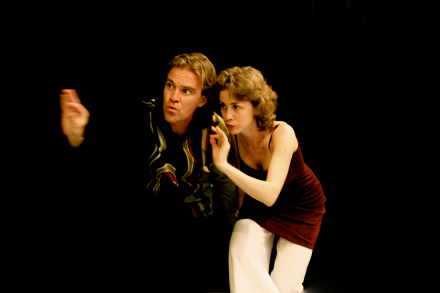 It combines The Feldenkrais Method with voice technique. Morton Center | July 15th. through August 28th. This is an introductory workshop that focuses on the development of the singing voice through body awareness and voice technique (pitch quality, range, support -physical strength- projection, and intonation). During this workshops (12 classes), we will work on individual song interpretation, and voice improvisation. Through work on body releasing and voice technique we bring our body-mind to a state of creativity and spontaneity. work on the principles of singing to ensure healthy sound production. Purdue University. Department of Theatre, Visual & Performing Arts | January to April West Lafayette, IN. The Sonoric Voice is an experimental course connecting with the voice through the world of sound. We will research possibilities that arise from different sources: Awareness Through Movement (The Feldenkrais Method), voice techniques from classical, jazz & contemporary music, and exercises from experimental theater. Students will present short individual “sonographies.” I refer to sonography to an embodied vocal piece. S o n o r i s is a voice workshop in which we will connect with the voice through the world of sound. We will research possibilities that arise from different sources: Awareness Through Movement (Feldenkrais Method), voice techniques from classical, jazz & contemporary music. We will work with the Feldenkrais Method to get in touch with the events happening in our body-minds. When muscular tension is released, vibrations can travel without constraint, allowing the voice to fully emerge. We will practice vocal techniques from a variety of musical disciplines, stimulating the intuitive, emotional and conceptual aspects of the voice-self. We will work on two collective songs, and individual & collective voice improvisations. This workshop allows time for experimentation so that you can make discoveries about the flexibility and capability of your voice as a creative instrument and source of sound. For Registration contact me no later than Saturday, August 31, <contact@sabrina-lastman.com> or (765) 746-6158. This workshop will focus on the development of the speaking/singing voice through body awareness and voice techniques. Composed of 10 classes, the workshop is recommended for all those interested in the fields of performing arts, health, personal growth, and all people using their voice as a tool in their jobs. • Through the Feldenkrais Method, participants will learn about their voice from the inside out. The lessons are created to expose how the voice works and how to make it work better by relying on the person’s inner sensations, own observations and own thinking as they go through a series of experiments. • Voice integration explores some of the movements and sounds that we used in our childhood to develop our voices, and utilizes them to expand our vocal abilities. While introducing the main functional elements of vocal production, the lessons are designed to provide: a healthy foundation for extensive speaking & singing; a complete understanding of how the voice functions; a unique strategy for overcoming speech or breathing difficulties. • By tracing and redirecting the forces that cause sound to issue out from our mouths, we will give ourselves the opportunity to strengthen the foundation upon which the voice is based. As a result, your voice will re-emerge with newfound confidence. 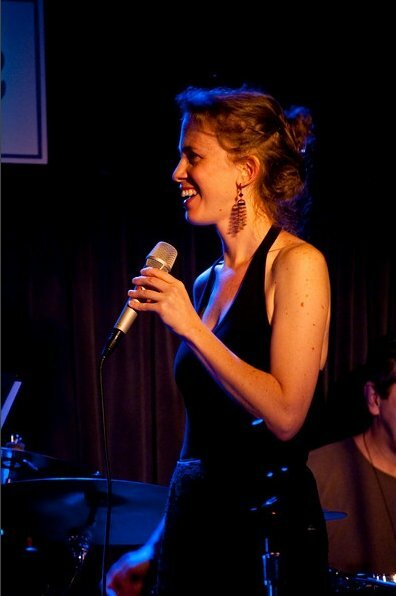 • Voice Techniques from the worlds of classical, jazz and contemporary music that will address dealing with performance anxiety, while working on the interpretation of an individual song and the basics of individual/collective improvisation. Exploit your potential as a solo and small vocal ensemble singer. Perfect your performing skills. 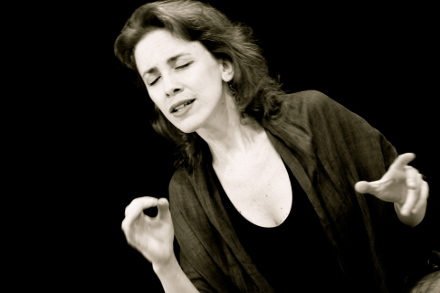 This workshop will focus on the development of the singing voice through body awareness—applying the Feldenkrais Method—and voice techniques from the worlds of classical, jazz and contemporary music. Aural awareness will be improved through ear exercises and free improvisation ensemble singing. Techniques for performance practice and dealing with performance anxiety will be addressed while working in the interpretation and presentation of individual and small vocal ensemble songs in the areas of jazz and Latin jazz music. • The workshop will be divided in two sections of 20 hours (a total of 40 hours). • Open to people with a background in singing. • A showcase concert will finalize the workshop. The final concert will take place June 15, 2013. • An accompanist musician will be an integral part of the process in preparation for the final showcase concert. For 10 weeks, close attention will be paid to body awareness and voice technique. Participants will work to develop repertoire (they will choose 2 songs from a list given by the Instructor) and there will be songs performed in duos & trios. Individual and collective improvisational skills will also be developed. For 8 weeks, close attention will be paid to voice technique and preparation for the live performance. Participants will rehearse their individual songs with an accompanist and work as an ensemble to create collective improvisational pieces. This is an introductory workshop to understand how voice works and how to improve it by relying on your inner sensations, your own observations and your own thinking as you go through a series of lessons. This workshop is an overview to vocal functioning applying the principles of the Feldenkrais Method. Reprogramming the neurological patterns that build our vocal function, will give the opportunity to improve the foundation upon which your voice is build on and therefore, naturally, because there is a natural process, your voice will re-emerge with new qualities and possibilities. We start each day working in Awareness Through Movement (ATM) lessons applying the Feldenkrais Method, to get in contact with the feelings/sensations of your body. A body with no muscle tension and a functional use of the breath allows vibrations to travel with no constrains, facilitating the voice to fully emerge. This workshop explores some of the movements and sounds that we used in our childhood to develop our voices, and we will take advantage of them to expand our vocal abilities. The workshop continues with the stimulation of the intuitive, emotional and conceptual aspects of your voice through exercises, using texts, wordless sounds and collective voice improvisation. This process gives a time for experimentation in order to discover the flexibility and capabilities of the voice as a sound source. The workshop also helps to develop voice’s expression and creativity. This is a one day workshop (4 hours total) and it is recommended for all those interested in the health, quality, power and expressivity of the voice in singing and speaking (in the areas of performing arts, personal growth, health, and all people using their voice as a tool in their profession). Handouts will be distributed during the workshop. For 8 weeks, close attention will be paid to voice technique, ear training and preparation for the live performance. Participants will rehearse their individual songs with an accompanist, work as an ensemble and on building collective improvisational pieces. The Expressive Body is an experimental and experiential workshop connecting with voice and silence, movement and stillness, the emotional, intuitive and the conceptual. From discovering the flexibility and capabilities of the voice as a sound source to silent walk in the woods connecting with nature, from awareness through movement to sitting in stillness in guided meditation. Individual, partner and group work in the beautiful natural and nurturing environment of Olive Oasis. The small group setting with individual attention from the teachers is all to stimulate the exploration of you as a creative, expressive and intuitive being. Please send $100 registration deposit before May 16th to save your space, (limited to 8 women). Enhance your performance skills to your best potential as a solo singer as well as an ensemble vocalist. 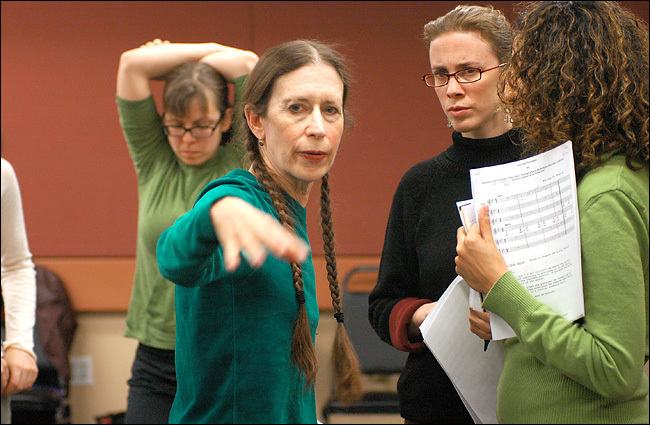 From October 2011 to March 2012, you will work on the development of your singing voice through body awareness—applying the Feldenkrais Method—and voice techniques from the worlds of classical, jazz and contemporary music. Aural awareness will be improved through ear exercises, and ensemble singing. Techniques for performance practice and dealing with performance anxiety will be addressed. During this process you will work on individual song interpretation/presentation, ensemble singing and introduction to voice improvisation. The workshop will be divided in two periods of 8 weeks each one (a total of 40 hours). Open to people with a background in singing. To be able to participate in the final concert, students have to do Workshop Part I & Part II. As a finalization of the workshop there will be an open concert in April 2012 (TBA) and we will be rehearsing with an accompanist musician during Workshop Part II. For 8 weeks, close attention will be paid to body awareness, voice technique and ear training. Participants will work to develop a short repertoire of individual songs of their choice, and individual/collective improvisational skills. Participants will bring to class chart/music sheet, recorded accompaniment, lyrics of the songs and CD version of the songs he/she wants to develop. Singing is a way of discovering oneself, a dialog with our inner self and an experience of communicating with others. The voice can take us to a deep journey of sounds, qualities, styles and expressions. For this journey to be healthy, energetic, and artistic, we need an approach to the voice as an instrument; we need to learn from it and about it. This workshop focuses on the development of the singing voice through body awareness, voice technique, and songs. During this process we’ll work on collective singing, individual song interpretation, sound exploration and introduction to voice improvisation. This workshop explores the integration of voice and movement. Through work on body releasing, breathing, movement, voice and rhythm exercises, we bring our body/mind to a state of open and creative presence. The session concentrates on body awareness, vocal and body warm-up exercises, and on structured improvisation. Through voice and movement, a space is opened for further investigation and appreciation of the creativity of this integration, experimenting all its vast and rich possibilities. Someone “open” in body, intelligence and feelings, is free to create. Singing is a way of discovering oneself, a dialog with our inner self and an experience of communicating with others. The voice can take us to a deep journey of sounds, qualities, styles and expressions. For this journey to be healthy, energetic and artistic, we need an approach to the voice as an instrument, we need to learn from it and about it. This workshop focuses on the development of the voice through breathing, body awareness and voice technique (pitch quality, range, support -physical strength-, emission & intonation). During these process we’ll work on collective singing, individual song interpretation, sound exploration and voice improvisation. Through work on body releasing and voice technique we bring our body/mind to a state of open and creative presence. Open to all levels. This workshop focuses on the development of the singing voice through breathing,body awareness, voice technique (pitch quality, range, support –physical strength–, emission & intonation) and song presentation/interpretation. Through work on body releasing and voice technique we bring our body/mind to a state of open and creative presence. Open to all levels. This workshop explores the integration of voice and movement. It offers to deepen awareness about the mechanisms of the mind/body, to tune and harmonize it and to bring it into the present moment. The session concentrates on vocal and movement warm-up exercises, and on structured improvisation. Through voice (songs and/or texts that participants bring with them) and movement, a space is opened for further investigation and appreciation of the creativity of this integration.